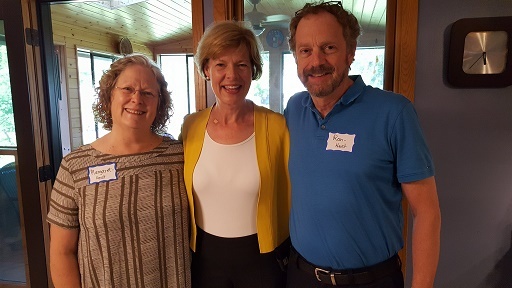 First, Ron Malzer and Margaret Dihlmann-Malzer hosted a successful fundraiser for US Senator Tammy Baldwin on Saturday. More than 70 people attended. Sen. Baldwin is high on the Republican target list as they work to build a filibuster proof majority in the Senate in 2018. This is a very important election. If you were not able to attend, you can donate online or sign up to work on her campaign. Republicans have unlimited funds to throw at this race, so we must demonstrate unlimited PEOPLE POWER. 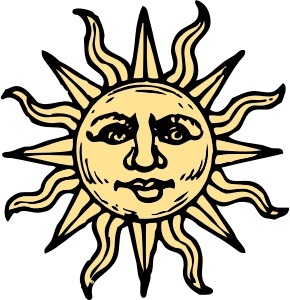 Monday, July 31 - at 10 a.m. if you can, attend the Board of Public Works meeting to demonstrate your support for enhanced bike/ped infrastructure AND at 7 p.m. attend SURJ orientation at People's Food Co-op AND Queer Coloring and Cocktails will be happening also at 7 p.m. at JavaVino ANDcontact your state representatives about the very bad Foxconn deal (see below). Tuesday, August 1 - Our Wisconsin Revolution-La Crosse meets at 7 p.m. at the Ho-Chunk Three Rivers House (8th and Main) AND La Crosse United to Amend will meet at 7 p.m. to plan an April 2018 referendum supporting an overturn of Citizens United. Thursday, August 3 - At 6 p.m. public hearing by the La Crosse Finance and Personnel Committee. Also, there's a weekend of training in nonviolent civil disobedience in Viroqua August 11-13 presented by Ethan Hughes, co-founder of Possibility Alliance in Missouri, and Brenna Cussen Anglada, a founding member of St. Isidore Catholic Worker Farm in Wisconsin. They will pull from the wisdom of the Center for Applied Nonviolent Action and Strategies including nonviolent practice and theory, forms of social rganizing, dilemma actions, restorative justice, momentum-driven change, nonviolent communication and honing fearlessness. There will be an emphasis on possible frac sand mine actions. The event will be held at the Landmark Center, 500 E. Jefferson St., Viroqua. There's no set fee but donations are gladly accepted to help cover expenses. For more information and to register, please contact Joe Orso. "American workers should be wary," said Eli Friedman, associate professor of international and comparative labor at Cornell University, adding that Foxconn had a history of getting "headlines that rarely match the reality." He pointed to an announcement in 2013 by Foxconn of plans to build a $30 million plant in Pennsylvania that have so far not come to fruition. Hope you can make it to important events this week. If you know of an event that's missing, please submit it via this form or email it to couleeprogressive-at-hotmail.com. 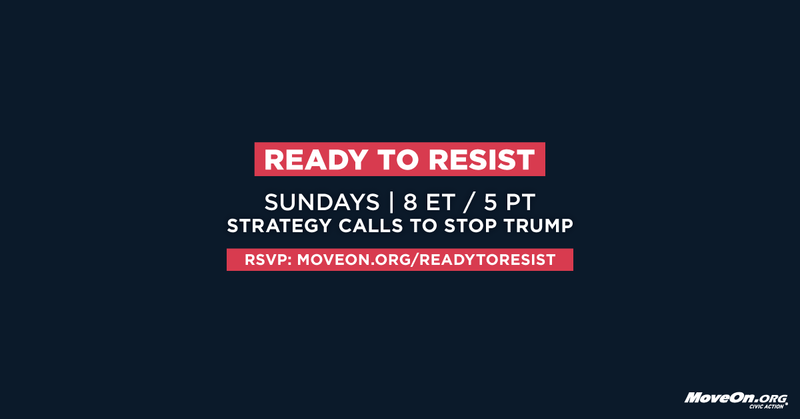 First, an update on the MoveOn.org health care conference call held Sunday evening. 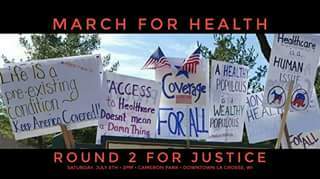 After reports from activists who have engaged in sit ins and demonstrations, started and participated in actions at the state level, and those who have run for office, we heard an update about the upcoming week's schedule with respect to health care. + For updates throughout the week, text CARE to 668366. + Moveon and others are facilitating the Neighborhood Listening Project to canvass door to door across the country. Training and materials supplied - sign up at the link. On Monday, July 24, at 10 a.m. the La Crosse Board of Public Works will be talking about parking assessments (did you know there was a public hearing about this on July 10?) and the possibility of using city outlets for EV charging AND if you want to virtually join the nationwide March for Health Care for All, you could call Rep. Ron Kind to tell him to co-sponsor HR 676, a Medicare for All bill introduced earlier in this session AND you can attend the Live Your Feel Fundraising info meeting to benefit The Center LGBTQ Center (you MUST RSVP at the link) AND Bluffside Neighborhood Association holds its monthly meeting at 6 p.m. at the First Congregational Church (corner of Losey and Main). Tuesday, July 25 at 6 p.m. the Logan Northside Neighborhood Association meets at Trinity Lutheran Church AND La Crosse SOUP holds its summer event at 6 pm at the Root Note AND you can MEET Mike McCabe (who will announce as a Democratic candidate for governor in September) at 7 p.m. at the Grand Hotel Ballroom (above The Pearl Ice Cream Shop). Wednesday, July 26 marks the start of the Monroe County Fair (through Sunday) AND there's a Vernon County Board forum at 7 p.m. at the Vernon County Courthouse. The next Progressive Potluck will be on Thursday, July 27 starting at 6 p.m. Meet and talk to local activists about how to make things better. Please email for location. 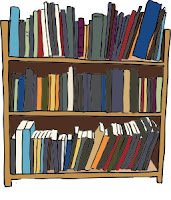 Friday, July 28: Progressives book club (email for details). Saturday, July 29. Maybe there will be a Lives on the Line action (see above - will post if something gets set up). There is definitely a fundraiser for US Senator Tammy Baldwin beginning at 5:300 p.m at 331 S. 28th St in La Crosse (please RSVP by emailing emma OR call 608 663-6300). If you can't attend you can still DONATE ONLINE. If you would like to be involved in planning next year's PROGRESSTIVAL, please email! 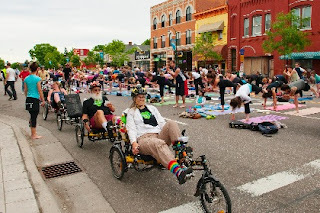 La Crosse Open Streets is a partnership between the Wisconsin Bicycle Federation and Explore La Crosse with support from Downtown Mainstreet, Inc, the City of La Crosse and the La Crosse City Vision Foundation. La Crosse Open Streets is an event that will take place Sunday, September 3rd during the seventh year of the La Crosse Labor Day Bicycle Festival. This is an effort to bring a new event to the area, while still capitalizing on the audience that will already be attending the Bicycle Festival. Open Streets events create car-free spaces where people and families can exercise and play; at the same time, neighborhood businesses and vendors can engage the community and visitors in new ways. We will use about a mile of downtown streets for this special event, activating space that is otherwise quiet on a Labor Day afternoon, and bringing new customers and sightseers to businesses. Open Streets is a worldwide movement modeled after Ciclovia, which began in Bogota, Columbia. 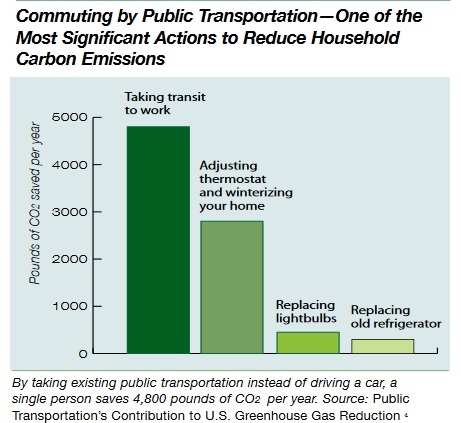 The idea focuses on minimizing the use of cars and temporarily promoting biking, walking and active living in the communal spaces that are otherwise dominated or made unsafe or unhealthy by moving and parked cars. Open Streets events are designed to be recurring – possibly weekly or monthly through the summer. The idea is to give a glimpse of other ways to get around and use city space. While there are events throughout world, the most famous Open Streets events are in places like Toronto, LA, and St. Petersburg, Florida. We would like to begin by creating an annual event. 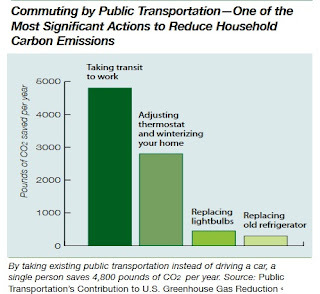 While we know that temporary car-free spaces allow community involvement and support physical activity or the broadening of transportation choices, creating a welcoming community and encouraging people to return, we also know that it is difficult to imagine those choices with so many cars. The Open Streets event temporarily shows what is possible. The City of La Crosse will close a stretch of downtown between Cameron Park and Burns Park. A map will be created to illustrate where activities will take place including yoga, dance, art, hula hooping, ladder ball, bean bag toss, jenga blocks, bubbles, bike checks, bicycle skills courses and more. Organizations and businesses are invited to participate and encouraged to have an activity for participants. Food trucks and craft vendors will also be invited. A Facebook page has updates leading up to the event. Open Streets will be promoted on social media and printed posters, post cards, fliers, signs and maps. Please contact Carolyn Dvorak to reserve space outside your business or along the route and for event sponsorship. Scott Walker will be at the Onalaska City Hall Monday afternoon. If you would like to join the protest - decimated DNR, poo in our drinking water, millions "lost" in WEDC giveaways, schools defunded , drug testing for poor Medicaid recipients but not rich cronies receiving government aid, ethical challenges (to be polite), deteriorating roads, 17th the century public transportation, still no budget, etc - please come with your sign and voice. 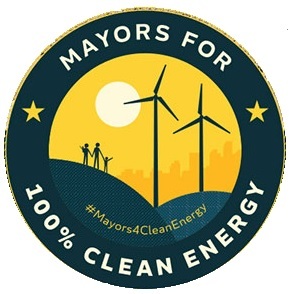 Meet at 1:30 at City Hall. In our community, and in our schools, the availability of books that represent people and children of color as heroes and protagonists are extremely limited, or absent. A community group — Showing Up for Racial Justice — has asked the La Crosse Public Education Foundation to partner in an effort to purchase books that are culturally representative, and give those books away to community children in grades pre-kindergarten to 12. The plan is to purchase books, from a book list that is being vetted through experts in the community, and have those books available for distribution at both the Mathy Center and Erickson Club of the Boys & Girls Club of Greater La Crosse at their Back-to-School events on August 24. In addition, there will be a “Read Me” event on Sunday, August 27 at both North and South La Crosse locations for children and young adults who received books to come and read their book to community adults, or have a book read to them by community adults. Some books will also be available to give away to children who were not able to attend the Boys & Girls Club event on August 24. Any remaining books not distributed directly to children will be given out to School District of La Crosse teachers through a “grant” application process for use in their classroom libraries. July LCDP Meeting - Independents, Are you Independent? 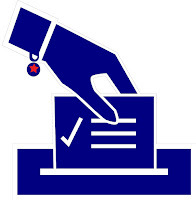 ﻿Just a heads up to anyone in La Crosse county, there will be a Democratic Party meeting next Monday at the Three Rivers House (724 Main Street) in the basement starting at 6:30 PM. Here is a link to the Facebook event. I know that many who follow this blog do not identify as Democrats and have valid complaints about the party. However, I think this quote from the Nation makes a strong case for independents joining a party. I think everyone reading this can take a minute to think about how often they vote across party lines or for third party candidates. If you find that it is rarely to never, come join the party to be a part of the candidate selection process and push for what you want to see in politics. Several important meetings and online actions this week. Please participate in as many as you can! If your event is missing from our calendar, please submit it via this form or email us. 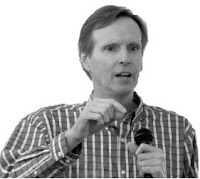 Monday, July 10 - The Weigent-Hogan Neighborhood Association will hear from Karl Green Community, Natural Resources and Economic Development Agent for La Crosse County Extension about emerging trends in demographics and housing choices for the City of La Crosse and the neighborhood. The meeting starts at 6:30 p.m. at 401 West Avenue South. Tuesday, July 11 is full of important stuff. At noon, hear about "Overconsumption of Native American Imagery and Ongoing Results" at a free talk by Dan Green, UWL, hosted by the La Crosse County Historical Society. The program will be at the Riverside Museum in Riverside Park. AND at 6:30, the La Crosse chapter of Citizens' Climate Lobby will hold its monthly meeting at 401 West Avenue South. Email them for more details AND Starting at 7 p.m. New Directions/Indivisible La Crosse will host a social at John's Bar, 109 Third Street South. 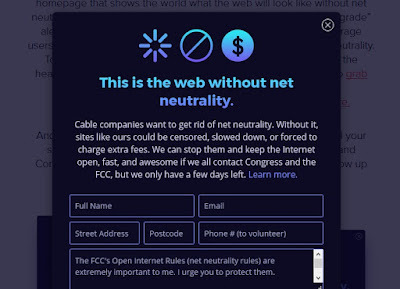 On Wednesday, July 12, take part in the nationwide DAY OF ACTION FOR NET NEUTRALITY sponsored by dozens of groups, organizations and businesses. On Thursday, July 13, the Wisconsin DOT will host a public information and input session on the rebuilding of South Avenue starting at 5 p.m. at Central High School, Losey and Green Bay. So far, plans are light on bicycle infrastructure, so if you are interested in sustainable transportation for our future, please attend and have your say. Or visit the link to find out how you can comment directly to the folks working on this project via email. AND The La Crosse Common Council meets at 6:00 p.m. in the Council Chambers, City Hall, 6th and La Crosse Streets. There is no agenda available yet, but it is expected that the Council will decide on the future of Memorial Pool. At last week's Finance and Personnel committee meeting, a rebuild of the pool with historic designation consideration at its current site, was agreed. It's probable there will not be a public hearing, but having as many people as possible at the meeting registering in support will help with getting the pool back as soon as possible. 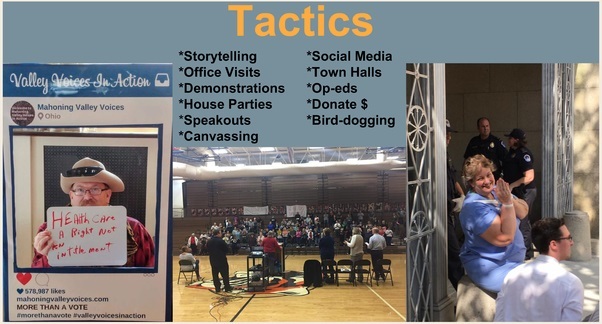 On Saturday, July 15, Wisconsin Progress is hosting a READY TO RUN candidate training in Richland Center and Chippewa Falls. You can sign up here. 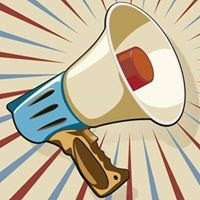 SPECIAL: PLEASE ATTEND MONDAY, JULY 17 LA CROSSE COUNTY DEMOCRATIC PARTY MONTHLY MEETING beginning at 6:30 p.m. at the Ho-Chunk Three Rivers House (8th and Main) A very important by-laws vote will take place at the meeting and State Senator Kathleen Vinehout will speak. Vinehout has recently registered to challenge Scott Walker for governor. You do not need to be a party member to attend and if you wish to join, you may do so at the meeting. The group will need to collect 3,800 signatures in a 60 day period. They plan to begin on September 4 and finish on November 3. When the petitions have been certified, the La Crosse City Council will need to approve the resolution for referendum. Already, according to Wisconsin Ready to Amend, more than 730 communities across the U.S. have already passed resolutions calling for a constitutional amendment, including over 105 governments in Wisconsin and 19 state legislatures. 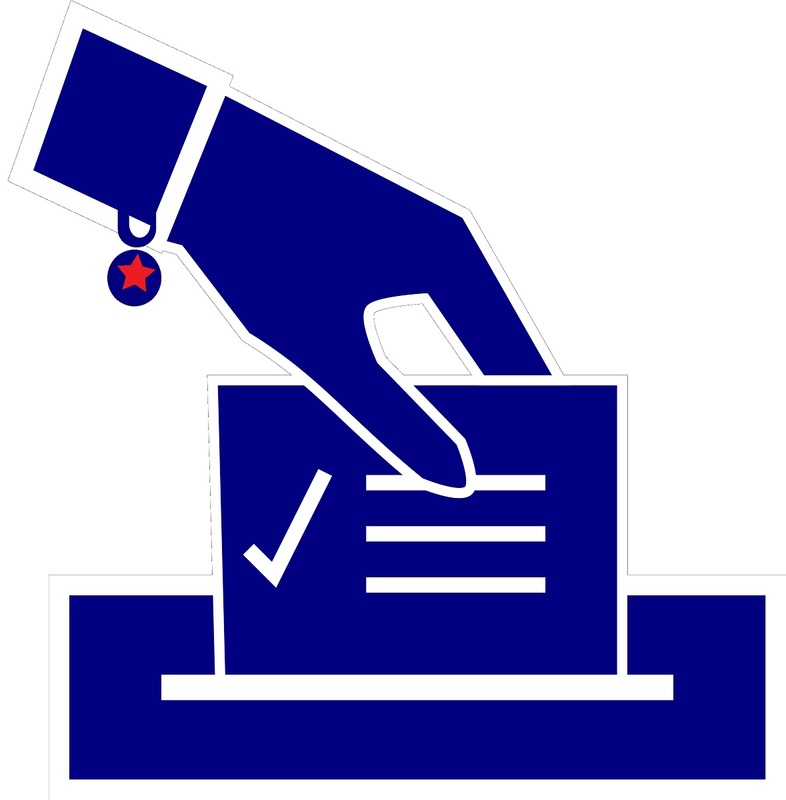 In March, the group will educate and energize voters to approve the referendum. If you are interested in helping with this effort and did not receive an email from the organizers, please take the doodle poll BY JULY 6 to help find the best date for the next meeting. If you have trouble with the poll, please email the organizers for assistance. Why is this so important? The Guardian (UK) reports that the Kochs are demanding action from their bought and paid for minions. Open Secrets details how the wealthiest Americans are also top political donors. The Wisconsin Democracy Campaign has many articles showing how wealthy crony corporations and contributors get what they want by donating to the right people.